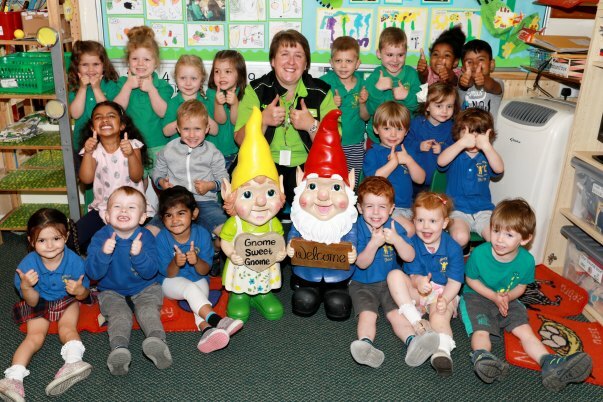 The children at Tidbury Green Nursery in Solihull were heartbroken when their much-loved Asda gnomes were smashed by thieves who tried to steal them. When Sandra Grice, the community champion at our Shirley store, heard the news she arranged a surprise visit to deliver two replacements – and the happy faces show how much it meant to them. 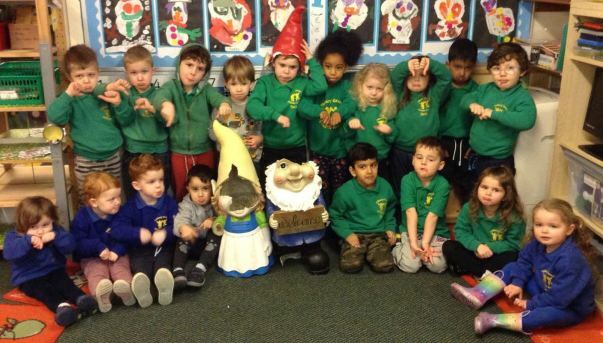 Nursery manager Jo Attwood said: "None of us realised how much of an impact the gnomes made until they were damaged. We positioned them at the entrance to welcome people to the nursery, and the children used to hug and greet them. We can't thank Asda enough for doing this – it's so kind." Sandra stepped in after one of the parents asked her if she could help. 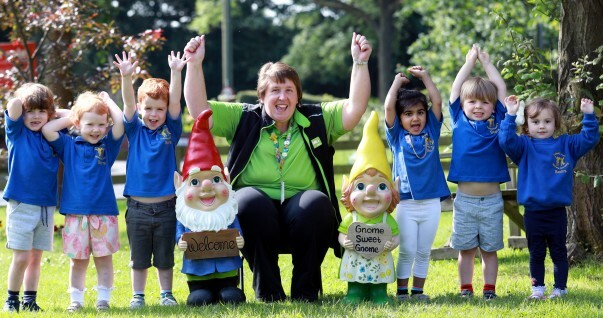 She said: Sandra said: "She said the children were so upset – they treated the gnomes as little people and were heartbroken. 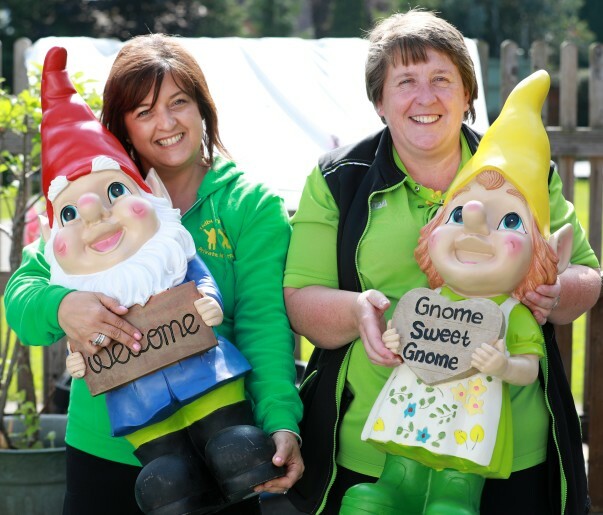 "I was really keen to help as the nursery is quite local to the store, so it was lovely to see the children's little faces when I turned up with the new gnomes. "They were so excited and really happy and it's great to have a happy ending!" The nursery teaches around 40 pupils aged between two and four. Jo said: "The children were very upset about the damage to their gnomes, so they're absolutely thrilled to receive these new ones. "They were so excited when Sandra turned up with them. It was a really special day for the children, and they all told their parents about it when they got home. "We're only a small nursery with a lovely community around us, and it's a massive thing for us all here. "We teach our children all about kindness and understanding, and we had to tell the children the old gnomes had been taken and broken by some people who weren't very nice. They were really upset. Even parents missed them too, so it's great that Sandra managed to organise these replacements for us."